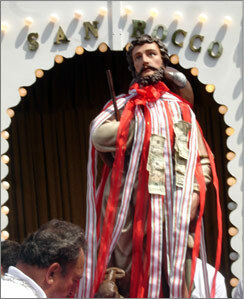 St. Rocco's 83rd Annual Feast 2012.
on August 12th, 13th, 14th, 2011. St. Rocco's 2009 Feast a Big Hit! The Post Gazette, dubbed "The Italian-American Voice of Massachusetts, delcared our 2009 feast a big hit! Jump to Page 5 for the full story. Family Fun at St. Rocco's Feast! Learn more in this great article featured in the Boston Globe's website Boston.com.